It was inevitable. As Yahoo began transitioning to using Bing to power its search engine, the No. 2 search engine had to lose market share. According to Nielsen report of the US search market, Microsoft search service which include Bing, MSN, and Windows Live, inched past Yahoo to take 13.9 percent of all US searches, compared to Yahoo’s 13.1 percent. This report reflects only “intentional searches,” or queries typed directly into a search box. It does not include contextual searches automatically generated based on a person’s browsing behavior. Microsoft has been aggressively growing its search offerings and adding new features over the past few months. 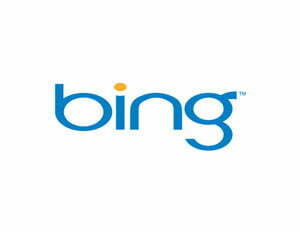 The numbers also reflect Bing and Yahoo’s 2009 agreement to have Bing power Yahoo’s search engine. For users, the same search technology means the results on these two pages will be the same; it’s only the front-end experience that varies. And at the moment, users are using Yahoo’s services less. Google remains the king of search, commanding 65 percent of the market. Although Nielsen’s numbers give Microsoft the No. 2 slot for August, the more widely cited (and accepted) Comscore numbers showed Yahoo still led significantly over Microsoft in July. Comscore’s figures excludes slideshows that can artifically inflate numbers. It seems unlikely that the lead shrunk that dramatically in one month to bump Bing ahead of Yahoo. The official switchover began in August but transition is not expected to complete until 2012.